The aftermath of Wednesday's surprising news, when TJ Dillashaw vacated his UFC bantamweight championship following an "adverse" drug test finding, left more questions than answers regarding the futures of both Dillashaw and the 135-pound division. What exactly did Dillashaw have in his system to trigger a failed test? Why did he give up his title and make the announcement public before due process from USADA could be finished? And how was he suspended one year by the New York State Athletic Commission and fined $10,000 without us knowing first whether he is innocent or guilty? Even more, who is most deserving of fighting for the vacant title he leaves behind? The problem for UFC at the moment is that the latter question can only be answered if the promotion first makes a decision about what its future intentions are for the flyweight division just two months after current champion Henry Cejudo knocked out Dillashaw at 125 pounds. Amid rumors of the division's demise in recent months after a number of flyweights were cut and former champion Demetrious Johnson was sent packing in a historic trade with ONE Championship, UFC has continually refused to make a formal decision despite continuing to promote flyweight bouts on recent cards. With an attractive title fight to make at 125 pounds between Cejudo and Joseph Benavidez in a rematch of their 2016 war won by Benavidez, it would be easy for UFC to stop holding up the immediate futures of a number of fighters and decide to keep the division going. It's a decision made much easier by the fact that Cejudo, a Mexican-American who is a former Olympic gold medalist, is a rising star. Once that hurdle is removed, what has been left behind in the wake of Dillashaw's one-off at flyweight and his eventual vacating of the title is a suddenly promising and competitive group of contenders at bantamweight. The group is so promising, in fact, that there would be no better time than now for UFC to bring more eyes on the division than creating a tournament for the vacant crown, whether it be anywhere from a four-man bracket to eight or 12. Ultimately, that's wishful thinking for a company which was founded on the format of a one-night, open-weight tournament and then almost never returned to the concept upon the start of the Zuffa era in 2001. It's also a format promoter Scott Coker has ultimately cornered the market with over the past decade in Strikeforce and Bellator MMA, both of which have served as UFC's chief competitor at various points. So with the idea of a large formal tournament (similar to a Grand Prix) likely out of the question, UFC should consider a more informal one akin to the four-man kind it did in 2012 to crown an inaugural flyweight champion. Using it's own ranking system to determine the top four, UFC currently finds itself with an attractive group of fighters, all of whom could benefit from the rub and attention that a tournament brings to help whomever comes out as champion. The majority of big-name fighters the division currently has would be ineligible under this scenario due to injuries and recent defeats preventing them from being ranked in the top four (from former champions Dominick Cruz and Cody Garbrandt to dangerous contenders John Lineker and Jimmie Rivera). The same can be said of potential future stars like Petr Yan and Ricky Simon. No one within the division is hotter than the 30-year-old Brazilian, who previously went 11-0 in World Series of Fighting and made six defenses of its 125-pound title before debuting in UFC in 2017. After dropping a debated split decision to Raphael Assuncao, Moraes has run off four straight wins including knockouts of Aljamain Sterling and Rivera, and an impressive first-round submission of Assuncao in their February rematch. Moraes has also done his best to spice up his public image by talking more trash on social media and during his post-fight interviews. He would undoubtedly be the favorite to wear the title next. At 36, the Brazilian veteran was straight up dominated by Moraes in their recent rematch. 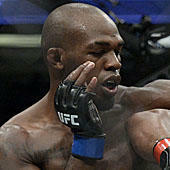 The loss, however, snapped a 12-1 streak going back to 2011 that included wins over Dillashaw, Sterling and Moraes. He has been the division's most consistent performer this decade, making it hard to count him out should he end up in a trilogy with Moraes (or Dillashaw down the road). The former phenom has done well to shake off a trio of losses that at one time appeared to threaten the 29-year-old's eventual path to the title picture (even if two came by split decision). Three straight wins and five over his last six later have shown his evolution into a more complete fighter. Fresh off a decision win over Rivera, the "Funk Master" is doing the best work of his career. Victorious in seven of his last eight fights, it has become difficult to ignore the 32-year-old Bas a legitimate title contender. It's a notion the Brazilian hammered home earlier this month at UFC 235 when he knocked out the former champion Garbrandt in one round. Munhoz is dangerous and hungry. He could also be the toughest threat on this list to Moraes' hope of winning the title. If UFC were to avoid any form of a tournament altogether and decide against capitalizing on the recent war of words over social media between Moraes and Cejudo, a fight for the vacant title pairing Moraes and Munhoz would be a fight short on crossover intrigue that could provide plenty of fireworks. Either way, even with the departure of Dillashaw for at least one year, expect UFC to be just fine at bantamweight with a healthy mix of young and old to match up.